We have several Radial and Tonebone items in stock at closeout prices. 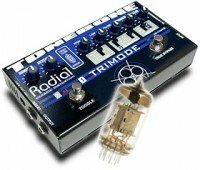 Welcome to Radial Tonebone pedal effects where tone reigns supreme, dynamics live and breath, and uniqueness and individuality shine through… Pedal technology that combine exceptional sound quality with straight ahead functionality. Tonebone delivers effects pedals that are intuitive, very musical and help you spur on the creative process. Radial products are used by a long list of the world’s most notable professionals. Radial… True to the Music! Geoffrey Teese at Real McCoy Custom Wahs builds some of the finest wah pedals available. Each wah pedal is meticulously designed using best components to achieve an outstanding end result. Get one of these on your pedalboard! 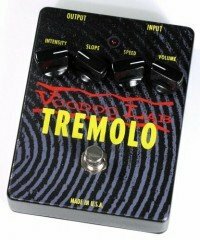 Voodoo Lab / Digital Music Corporation has designed and manufactured pedal effects and other electronics for professional recording and touring musicians since 1986. All of their products are built by hand in the U.S.A. to be rugged, functional, easy-to-use and to deliver the best possible sound. One of their pedals would be a great addition to any pedalboard. Don’t forget to check out some of the innovative ideas to switch, route and interface your signal in the most creative and professional way. These tools can help whether you want a simple switching solution, a recording setup, live sound applications or an elaborate system covering many elements. Explore the possibilities.